A deck cabin of the infamous Kursk nuclear submarine, which sank in 2000 killing all crew members, has been found in a scrap yard near Murmansk by sheer accident. It was a group of activists of the Movement for the Support of the Russian Fleet who discovered the front part of the submarine’s cabin. 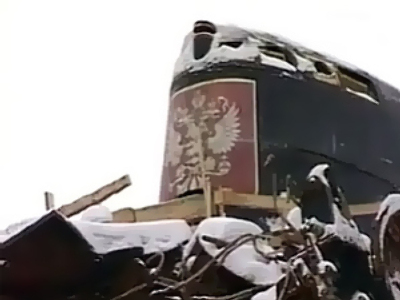 They say the legendary nuclear submarine part could have been easily lost among car and ship wreckages, were it not for the clearly visible three meter high Russian coat of arms bearing the image of a golden double-headed eagle on it. The August 2000 tragedy in the Barents Sea is widely regarded one of the biggest national tragedies during Vladimir Putin’s time as Russian president. After the submarine wreckages were raised to the surface there were numerous plans to preserve them as a monument, but the projects never saw the light of day. The owners of the cabin are enthusiasts Vladimir Kozlovsky and Vladimir Korobkin. Murmansk region civil servant Kozlovsky himself transported the cabin from the Roslyakovo Shipyard to Murmansk. Since 2004 both men have been struggling to keep it as a monument, but could not find an understanding among the city authorities. Kozlovsky claims the cabin ended up in a scrap yard because he was not able to make the monument alone. Conflicting reports suggest that in 2008 the cabin was sold to one of Murmansk’s industrial zones for scrap, but it is still unclear who was behind it. The mayor of Murmansk Sergey Subbotin knew nothing about the Kursk artifacts until journalists told him. He promised he would do everything in his power to find a well-deserved place for the poor cabin. “The cabin will be placed where it should be placed so that it could properly honor the deaths of the sailors, and look proper for those who would come to the monument,” Subbotin told Russia’s Channel 5. In case Murmansk authorities don’t keep their promises, the Russian Northern fleet command is ready to take it upon themselves. So far, monuments commemorating the Kursk tragedy have been erected in Moscow, St. Petersburg, Sevastopol, Severomorsk and Kursk. What happened in August 2000? The Russian Oscar II class submarine Kursk sank in the Barents Sea on August 12, 2000. The generally accepted theory as to the cause is due to a hydrogen peroxide leak in the forward torpedo room, leading to the detonation of a torpedo warhead, which in turn triggered the explosion of half a dozen other warheads about two minutes later. This second explosion was equivalent to around six tons of TNT and was large enough to register on seismographs across Northern Europe. 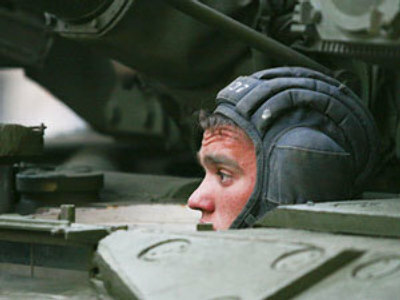 Despite numerous rescue attempts, all 118 sailors and officers aboard the Kursk died. Most of the submarine's hull, except the bow, was raised from the ocean floor in late 2001 and towed back to the Russian Navy's Roslyakovo Shipyard. With most of the wreckage sawn up and recycled only the deck cabin remained whole. The bodies of its dead crew were removed from the wreck and buried in Russia. Russian President Vladimir Putin signed a decree awarding the Order of Courage to all the crew and title Hero of the Russian Federation to the submarine's captain Gennady Lyachin.